Special Event Insurance from Densmore Insurance Strategies, Inc. is designed to provide you with peace of mind and financial protection in the event you have to cancel your special plans due to adverse weather conditions or a natural disaster. Most policies also cover cancellation when serious injury or illness prevents a key participant from attending the event. A special event can be anything from a wedding to a multi-day festival involving food sales, alcohol sales, amusement rides auto races, rodeos, athletic contests and parades. Whatever your event, chances are that your regular insurance program will not cover these exposures. You need special event insurance that is designed to cover your particular activities. 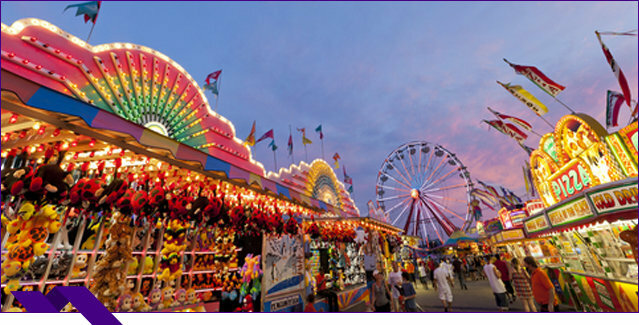 A special event can be as simple as a birthday party or as complex as a month-long state fair. If you are planning a special event, you need to check with a professional insurance agent to determine what coverage, if any, may be provided by your existing insurance or if additional Special Event insurance is needed. You should obtain insurance for events well before the time it is needed, as the process to underwrite this kind of coverage can be complicated and lengthy. Standard personal or commercial policies will not cover all these exposures. In most cases you will find that you are better off having event liability insurance that is specifically tailored to cover your needs. How Much Does Special Event Liability Insurance Cost? What are the provisions for crowd control? Will liquor be served or sold? Are there any amusement rides? Are there activities that can involve injury to spectators? Are vehicles or other motorized equipment involved? Is food to be provided or sold? Are outside vendors involved and will they provide proof of their own insurance? Who is running the event and what experience have they had? Are there any prior claims if the same event has been held previously? What limits of liability are requested? If you are planning to rent a facility for the event, the owner may require that you purchase special event coverage as a condition of the rental. In many cases, the owner will want to be an additional named insured on the policy. Weddings and concerts are two of the most common special events. A private wedding in a church with a reception on the grounds will not normally require special event insurance. However, if your wedding is a more elaborate event in a rented facility, you may have to purchase a special events insurance policy. You should take extra caution if your event involves alcohol. Liquor liability laws vary from state to state. However, it is very possible that if you provide alcohol to a guest or participant at your wedding and that person later is responsible for an accident, you could have some legal responsibility. If you do provide alcohol, the safest thing to do is to be sure your special event insurance includes this exposure. Concerts can vary from small, one-time events to large, elaborate affairs involving thousands of spectators. Some concerts involve fireworks which can and have caused serious injuries and large legal claims. Large events can also involve issues having to do with crowd control. Crowd control is a challenging issue for concert organizers to deal with. Too little crowd control can cause injuries to spectators and potential liability risks, but too much crowd control can be just as problematic and could also cause you to face a lawsuit if a patron was handled roughly by a security guard, for example. Whether you’re a professional wedding planner or a concert organizer, or you’re just an average person putting together a great event, make sure you to the experienced insurance agents at Densmore Insurance Strategies, Inc. that can make sure that you are covered for any liability claims related to your wedding or concert. A festival can be anything from a bake sale in your church parking lot to a large music festival like Lollapalooza. The longer the event, the more activities and the more participants involved, the more likely it is that you’ll need private event insurance. In many cases, you will be required to provide evidence of special event insurance to a third party, like the church administrator for the church parking lot bake sale, or the Parks and Recreation board for a music festival. What Is One Day Event Insurance? One-day events, like a 5K run or a food truck festival, still take a lot of effort to organize. Depending on the events you plan and the vendors you use, you may still have an insurance risk. If you have vendors at your event, make sure to request proof of insurance showing coverage to operate at the site. Similar to a wedding or a concert, be sure that you have insurance to cover all of your exposures, for example liquor liability insurance. Even if you’re planning a short event, you still face risks. It’s important to talk to an experienced insurance professional about the details of your event beforehand. One injured person or one piece of valuable property that is damaged can lead to significant legal liability risks for you as the event planner. If you are the person responsible for the event, do not risk your assets and peace of mind by not obtaining the proper special event insurance. Ensuring that your wedding is protected is an important part of planning for it. Since Special Event Insurance is designed on an individual basis, it is important to discuss your specific insurance needs with a professional. Contact Densmore Insurance Strategies, Inc. today to learn more.